With over a decade of experience and thousands of families photographed - we've done and seen it all! We know exactly what makes babies giggle, the most flattering poses for moms, how to perfectly position a newborn and what gets a dad to loosen up. 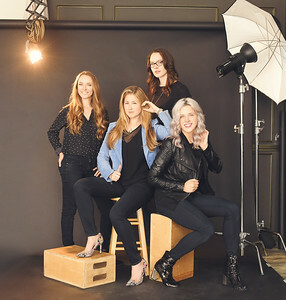 We work together as a team during your photo session - your photographer is focused on capturing images while one or two assistants help make sure your child is safe, smiling and to that your hair is perfect. Our years of professionalism ensure that your your portrait experience with our studio will be safe, fun, easy and your photo will be amazing! Erika founded The Pod Photography in 2008 with the vision of creating a modern portrait studio for today's sophisticated clientele. Resident "Peek-a-boo" and newborn posing expert - Erika's passion is photographing people - especially tiny ones! She has specialized in maternity and baby portraits for a decade and has photographed thousands of babies over the years. In her maternity photography, she loves documenting the relationship between partners and capturing candid shots that show love and personality. 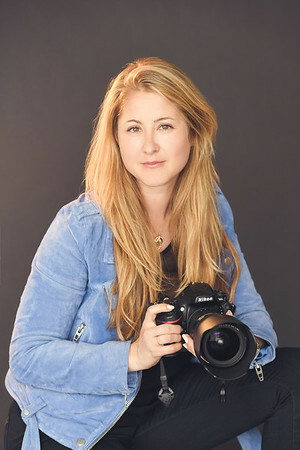 Author of “The Parent's Pocket Guide: Taking Kids and Family Photos” (on Amazon) and photography workshop teacher, Erika loves sharing her expertise to de-mystify camera settings and help parents take better photos of their kids. With over ten years of experience photographing families and babies, Leah knows all the silly tricks for getting genuine smiles from kids and adults alike! Though she loves documenting people of all ages, Leah's passion lies in capturing the magic of first birthday cake smash sessions. 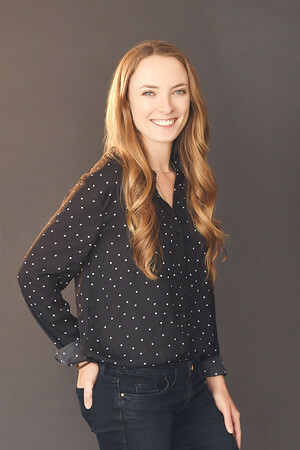 In addition to being the Kids & Family Photographer, Leah is also the studio's creative director. From designing custom sets for one-year milestones, to the styling behind each newborn session, Leah's creative eye brings The Pod's style to life! Once your photo session is complete, Halley is the one to edit your photos to perfection! When she is not editing, she is in action along-side Erika and Leah, baby wrangling and getting the perfect smiles. 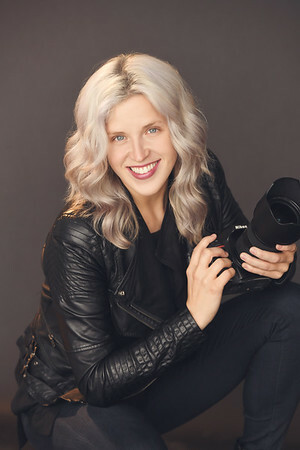 In addition to assisting on shoots, Halley is your go-to photographer for events. Whether the occasion or event, Halley's specialty is making sure every detail of your day is cherished forever. She especially loves documenting those candid moments that make you remember that special day with complete joy. As the last step in the creative process at the studio, Cecily is your girl designing memorable artwork that clients cherish for years to come. Cecily loves diving into creative projects of all sorts! 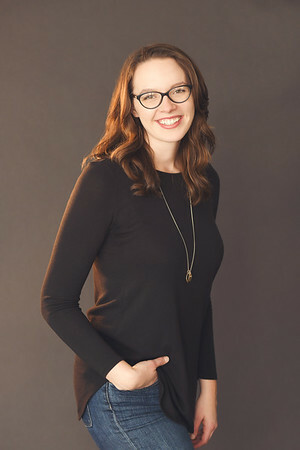 She enjoys helping families share the news of their beautiful newborns with birth announcements or telling stories about kid's personalities and family's dynamics through album designs.